Total Enrollment: 2,879, 69% women, 31% men. Part-time Undergraduate Enrollment: 554, 77% women, 23% men. Part-time Graduate Enrollment: 427, 75% women, 25% men. Financial Aid: Approximately 99% of students receive some form of financial aid. Average undergraduate class size is 19 students, and 18% of classes have 9 or fewer students, 46% have 19 or fewer. Four-year graduation rate: 64%.The six-year graduation rate is 72%. Incoming freshmen have an average SAT of 1060 and 47% of them rank in the top 25% of their high school graduating class. Academic Programs: 37 degree programs in three Academic Colleges: Arts and Sciences; Health Sciences & Education; and Business. In 2015/2016, 534 bachelor's degrees, 207 master's degree and 65 doctor's degrees were awarded. 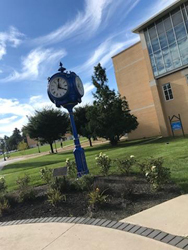 Graduate Education: Misericordia offers master's degrees in nursing, education, health care informatics, business and organizational management. 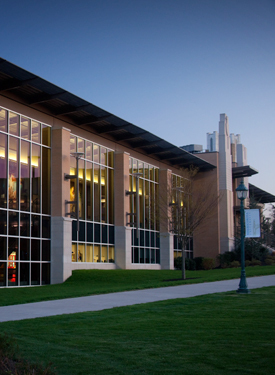 The occupational therapy and speech-language pathology programs are five-year, entry-level master's degree programs. The Doctorate in Occupational Therapy is designed to be completed part-time over a two year tri-semester period. The physical therapy program is a six and one half year program resulting in a bachelor's degree and a Doctorate in Physical Therapy. Intercollegiate Sports: Misericordia University competes in the NCAA Division III, Middle Atlantic Conference / MAC Freedom. Women's sports include basketball, soccer, field hockey, volleyball, swimming, softball, cross-country, cheerleading, lacrosse, golf, tennis and track and field. Men's sports include football, basketball, soccer, swimming, cross-country, baseball, golf, lacrosse, tennis and track and field. Campus Life: 41 clubs, service organizations and special interest organizations. Special Organizations: Assistive Technology Research Institute; Diversity Institute; Ethics Institute of Northeast Pennsylvania; Institute of Gerontology (Aging Religious); Institute of Law and Religious Life; Institute of Sacred Scripture. Special Programs: Alternative Learner's Project (ALP) for college students who learn differently; Office of Service Learning; incorporating community service into academic study; Guaranteed Placement Program, special career preparation program; Fun and Fitness Program, providing a variety of athletic and creative activities for the community at the Anderson Sports-Health Center; Cultural Events, providing a variety of programs usually at no cost to the community. Click here to view our list of accreditations.